Cyber security skills are more important than ever - it seems like every other week, another major company or government is getting hacked. 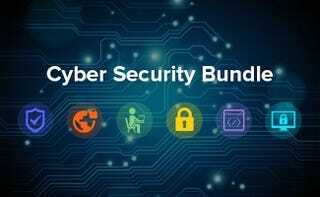 This 6 course bundle teaches you the basics of cyber security with over 60 hours of training. Kotaku readers can grab the whole bundle for 88% off. The Fundamentals of Virtual Private Networks ($10) – Everything about VPNs – Encryption, Firewalls, Certificates, and more.